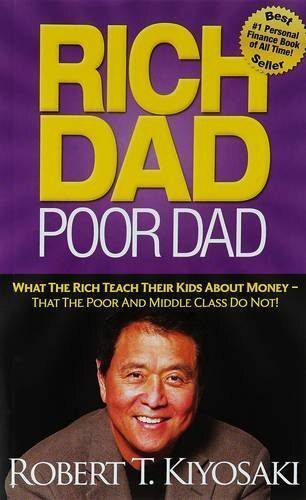 As a true supporter of self-help books since I was a child, “No Excuses! 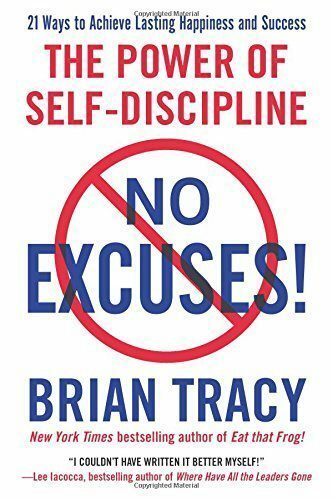 The Power of Self-Discipline” had me spell-bound and Tracy’s own words “learn what you need to know and do what you need to do, and never give up” truly resonates with me. We are so easy to find excuses and not resolutions. We look and find the quick solutions to get what we want quickly. With self-discipline, we will stick to what we want, and not try to do things quickly and get it over with. It becomes a way of living, not a quick fix. I also like the idea of “voting yourself off the island of no discipline”. By doing that you surround yourself with people who believe like you and who want to stay with, shall we say “with the program?” In my own experience, I can guarantee you that the quickest way to fail in life is to surround yourself with toxic people. I personally don’t like the use of words like “winners” and “losers” in life to describe people. I truly prefer the term “like – minded” people. He emphasises how important it is to surround yourself with like – minded people and I completely agree with that. Brian Tracy also says that, “without self-discipline nothing works. With self-discipline everything works”. “You will rise above yourself”. The truth is that most people do what is fun and easy rather than doing what is hard and necessary and this is the main difference between winners and losers. Self -discipline is also known as self-control, and I am sure that you will agree that this is a subject that is as much written about as can be. I suppose the reason why people still become millionaires by writing about this is because we lack self-control and cannot stick to things that take effort. Read this book, and make it part of your life. Then you will succeed, I guarantee you that. What you will find in this book is how to incorporate self – discipline in 21 easy to read and follow chapters. These chapters are presented in three parts to complete the book. In the first part, you learn about self-discipline and personal success. It is about courage, persistence, goals and how to master these with self – discipline. In the second part, you read and learn how to apply self-discipline in your sales, business, and finances. In the third part, you read about the quality of life and how to apply self-discipline for ultimate success in fitness, health, and marriage. 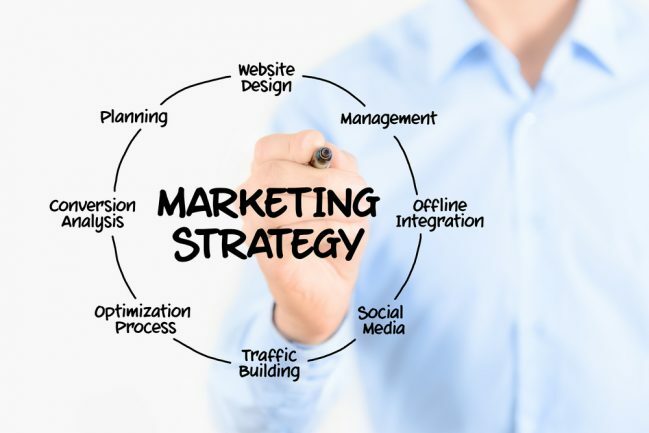 A fitness membership and a good dental clinic can help you get started on the right track. With each chapter, you will find a number of exercises to guide you in the right direction. These exercises are really helpful and Tracy truly helps you find the areas in your life that need the most work for ultimate success. If you partake in all the exercises, you will definitely change your life positively. 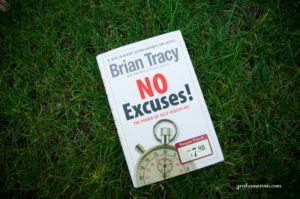 All of Brian Tracy’s books are excellent and worth reading and I will definitely put this in the top three. He explores self-discipline and the best way to use this, and many aspects of life to ensure that you get where you want to be and stay there. There are a plethora of books out there that will teach you how to motivate yourself, but there are very few that teach you how to be creative. 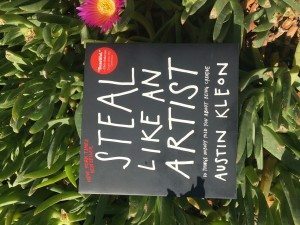 Steal Like An Artist by Austin Kleon helps you unlock the tools you already possess to be creative. For artists, innovators, entrepreneurs or just anyone who is looking to make a difference in the world, the illustrations and perspectives explored in this book will fill your journey with excitement. At the root of it all people just want to make stuff. Whether it is to write a novel, produce a film or pen an orchestra, your creative journey doesn’t need to be complex. For this reason this book is a pure joy to read. From the first few moments it is obvious that this isn’t your ordinary book. The concepts are highlighted ingeniously through succinct paragraphs and fun pictures. Each page challenges the reader with a new perspective through a different lens. You don’t have to reinvent the wheel, but merely remix and improve on the wheel. This means creating unicycles while others are creating bicycles. Or electric cars when others are going motor engines. Stealing like an artist means taking something that is already working well and presenting a fresh perspective on how to solve the problem. The book is full of information about how to work with your own creative instincts and bring forward excellent new ideas even if your skills are lacking. 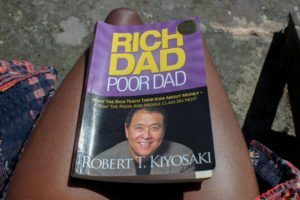 If you’re looking for inspiration, good ideas or a fresh perspective then just take 5 minutes to read a chapter from this book. 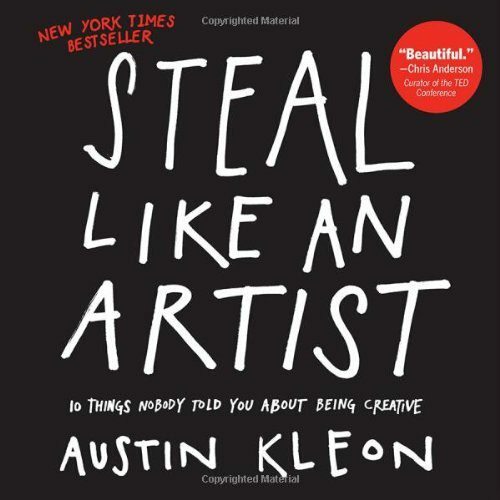 Overall Steal Like An Artist: 10 Things Nobody Told You About Being Creative is a grand book for artists, musicians, writers, directors, entrepreneurs and creative types from all walks of life. Unlock your creativity and school yourself.